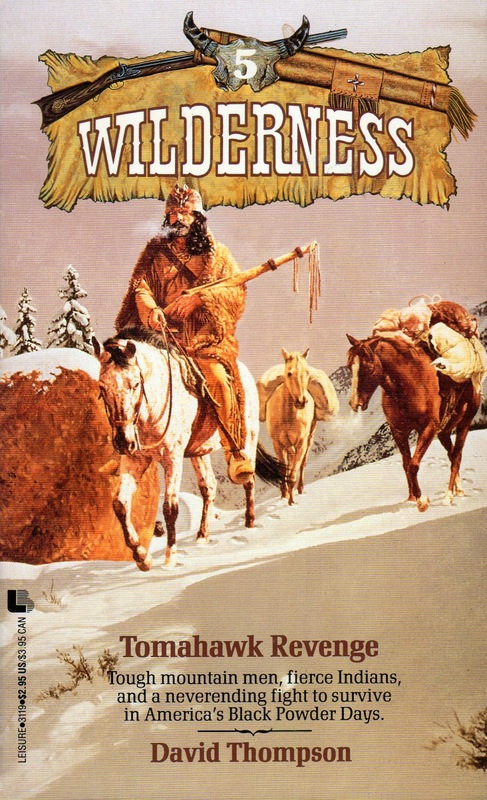 The fifth book in the 'Wilderness' series, “TOMAHAWK REVENGE”, is another winner from author David Robbins (writing as David Thompson). The series is set in the late 1820s, and follows the adventures of Nate King, a nineteen-year-old New Yorker who follows an uncle to the remote Rocky Mountains and decides to stay. By this point in the saga, it’s time for Nate to learn how to make a living, and that means fur trapping. But that education is interrupted by a Blackfoot war party, and what happens next--- in fact, all the way to the end of the book--- is harrowing, savage and bloody. As good as this series is, there might be a crack or two in its foundation now. After depicting a wide variety of dangers and adventures throughout the first four books, a touch of déjà vu is creeping in. There’s yet another grizzly bear attack, the third so far. (I’m tempted to claim that Nate King is attacked by grizzlies as often as Mack Bolan gets shot at, but that’d be a stretch.) And once again Nate faces hostile Indians. Boy oh boy, are these Indians hostile! In “TOMAHAWK REVENGE”, Nate and his companions are not only attacked, but taken prisoner and subjected to various grueling tortures. It’s easily the most intense Indian action of the series so far, and I don’t know how Robbins will be able to top it (but I’m sure he’s up to the task). Imagine staggering naked through the woods, bleeding from an arrow wound, as shrieking, kill-crazy Indians bear down on you, advancing closer and closer. This novel isn’t necessarily fun, but it’s definitely powerful. The level of brutality and general misery here may be tough for some readers to take, and there’s also a bleakness that we hadn’t seen thus far. But don’t let that scare you off. While most action/adventure series are about wish fulfillment (punishing the guilty, rescuing the vulnerable, accomplishing a vital mission or just getting rich), the Wilderness books are simply about the challenge of survival, the struggle to not get killed. They’re also a lot more compelling than the ordinary pulp action series. If you’ve never had a paperback grab you by your shirt and throw you across the room, get ready for “TOMAHAWK REVENGE”.